My child loves donuts or dow’s in toddler talk. Like, we can not mention donuts with out Reid wanting one. Right then. 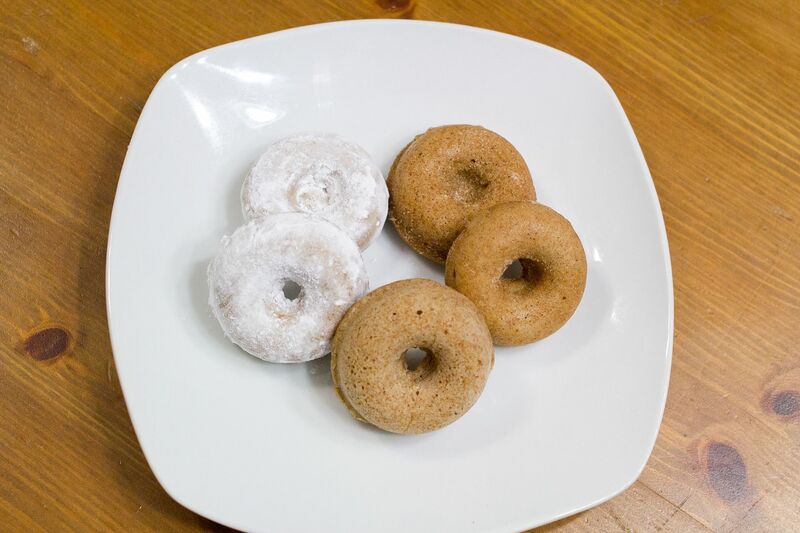 We pretty much never have donuts around the house. But will stop occasionaly at the Tim Hortons drivethru for Timbits. If you have never had Tim Hortons, then I feel for you. So good! But that has been the extent of our donut intake, until now. I bought a mini donut pan a bit back and have been giving homemade donuts a whirl. This recipe is pretty basic. 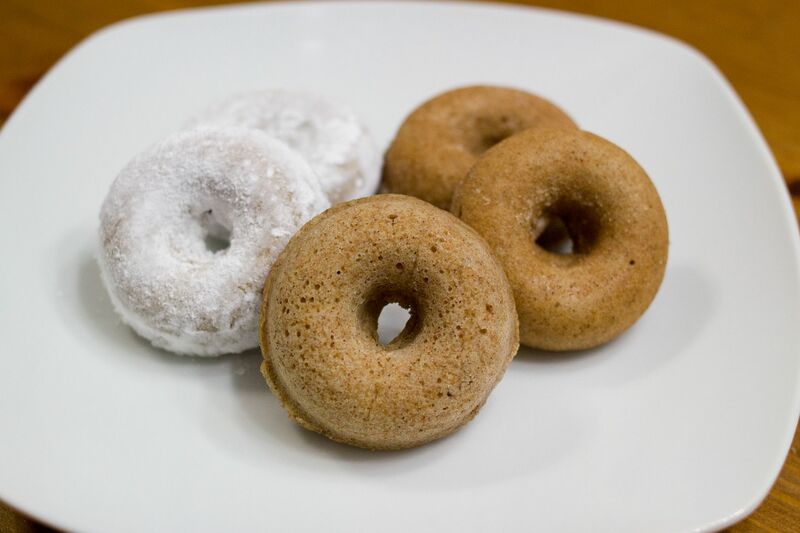 It is just a straight forward whole wheat donut recipe. The donuts are heavier and slightly wet in texture but good. I made a batch and froze 2 dozen for Reid’s breakfasts. Worked great. 3. Mix together eggs, sugar, milk, oil, and vanilla. 4. Add the nutmeg, cinnamon and baking powder. Mix well. 5. Slowly add the flour and stir until mixed. 6. 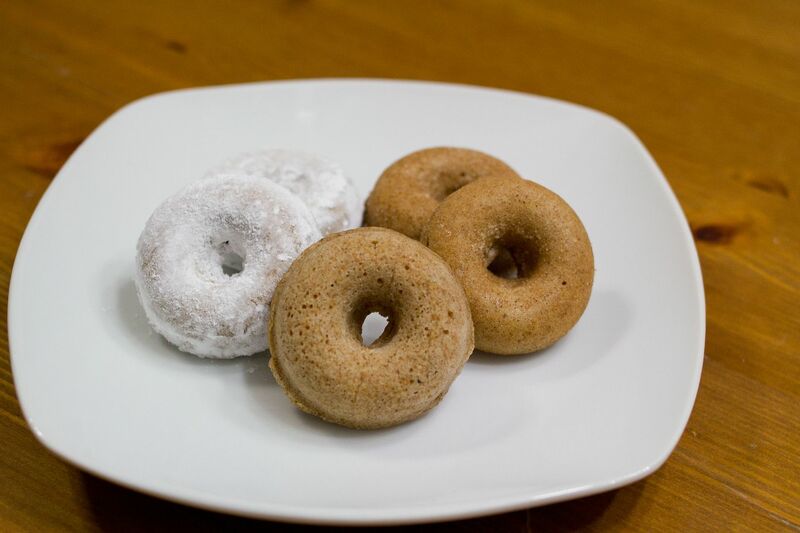 Fill each donut about ½ way. 8. Cool for 2-3 minutes in the donut pan and then transfer to a wire rack to cool completely. 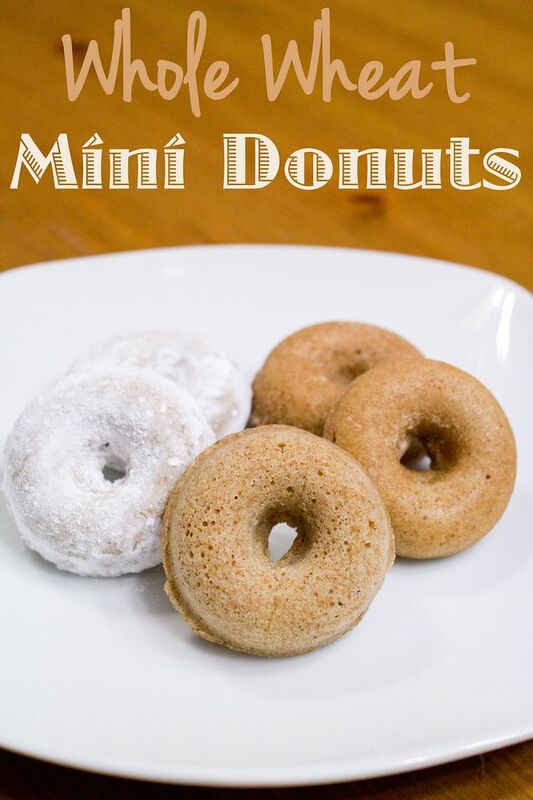 These can be coated with powdered sugar, cinnamon sugar or a glaze. Makes about 36 mini donuts. Follow my Breakfast Board on Pinterest for more yummy breakfast ideas. Looks amazing yummy and now am feeling really hungry. I'll have to try these. And Tim Horton's is openi.g on my hometown! Too bad I live five hours away though. Those look amazing. And healthy! I will have to try them as next weeks baking project.